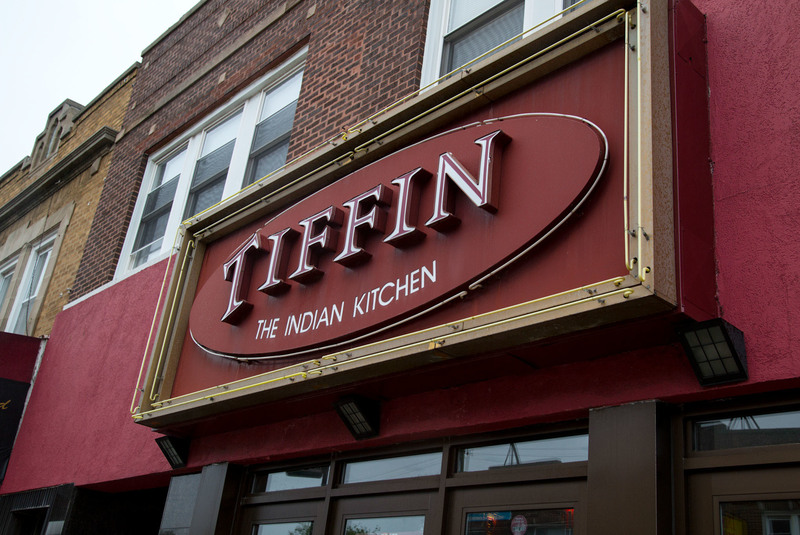 Craving spicy fare from one of the city's best Indian restaurants? 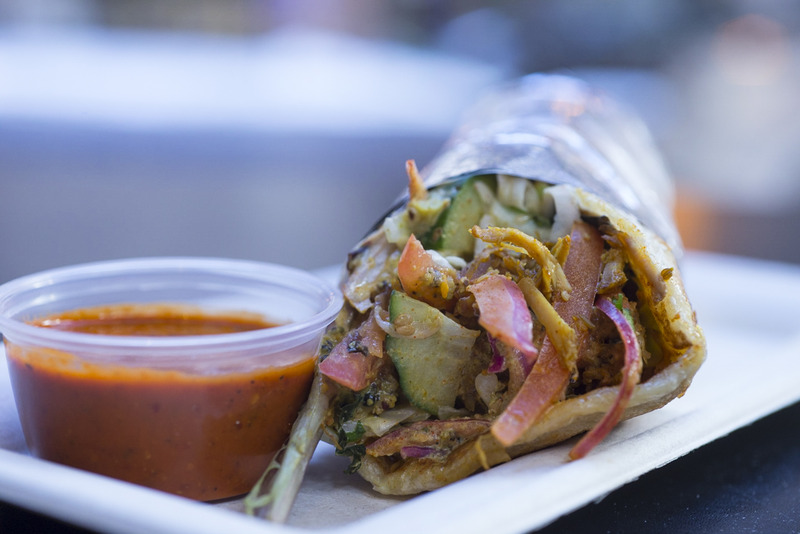 Try these spots for samosas, curry, vindaloo and more. 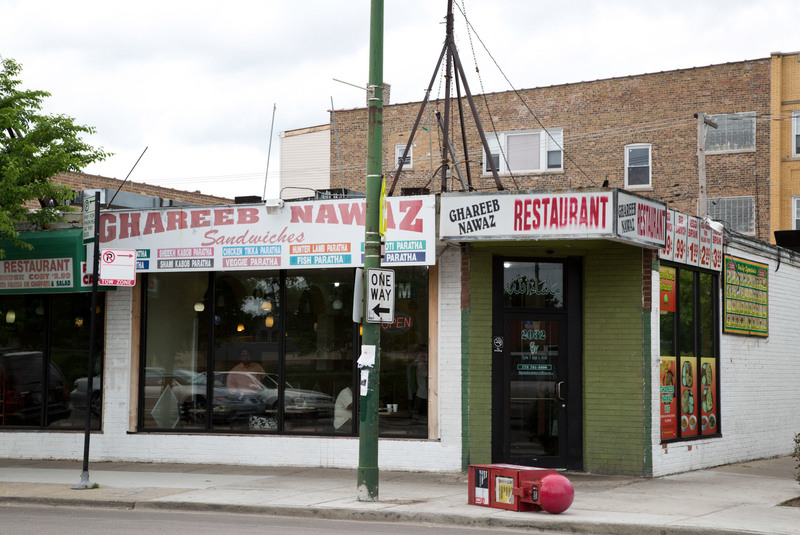 Photograph: Martha Williams Cumin is a top Indian restaurant in Chicago. 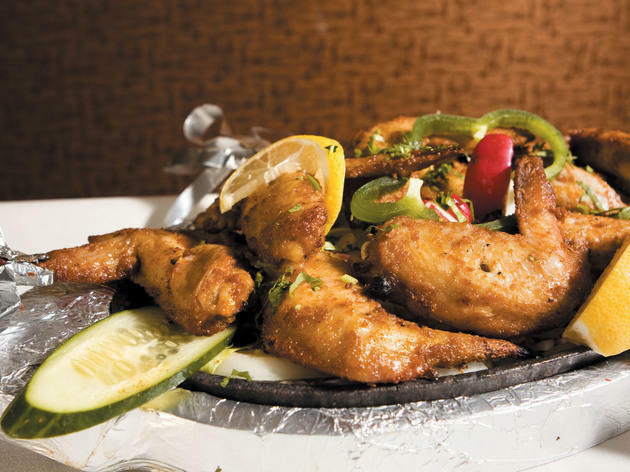 When you're jonesing for spicy curries or flaky parathas, head to one of the best Indian restaurants. 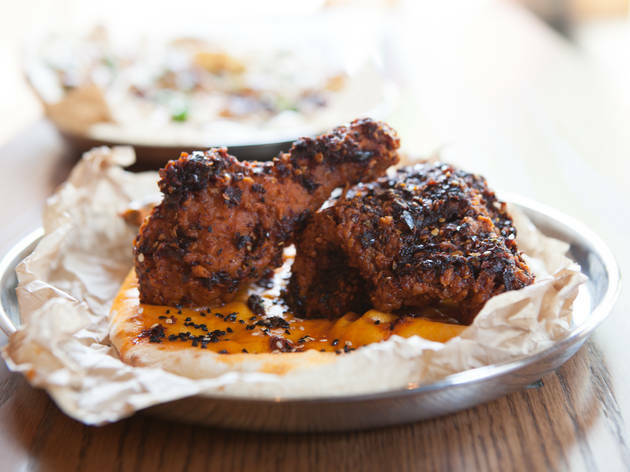 Chicago delivers with great fare, from some amazing Indian vegetarian restaurants to an outpost of Nepalese cuisine that's among Wicker Park's best restaurants. 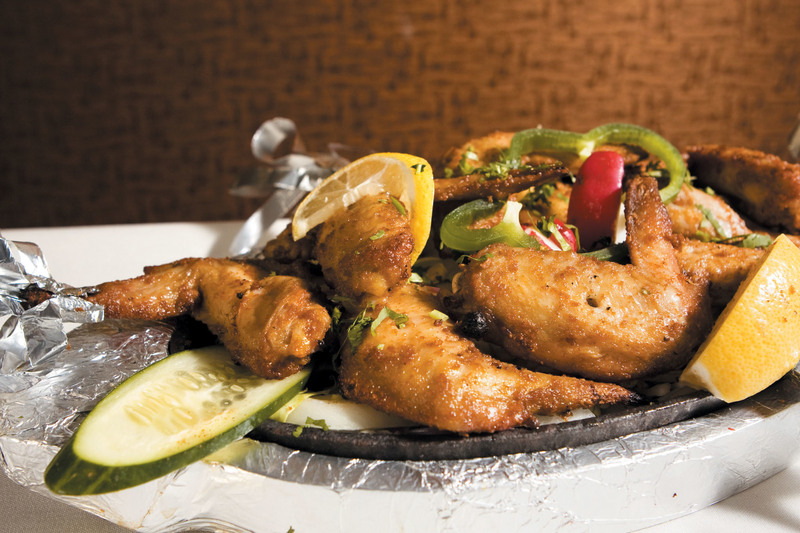 And when you've tried them all, get cracking on our guide to the best Pakistani food. 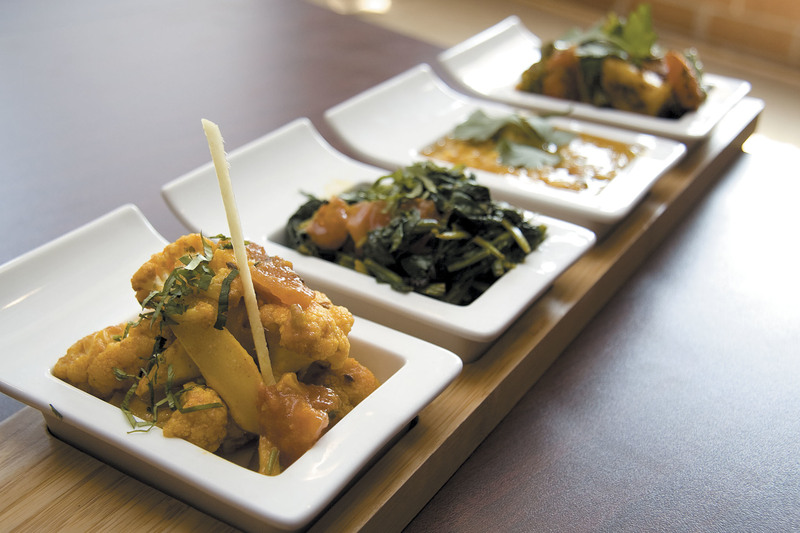 Not sure what to order at this Devon vegetarian standout? 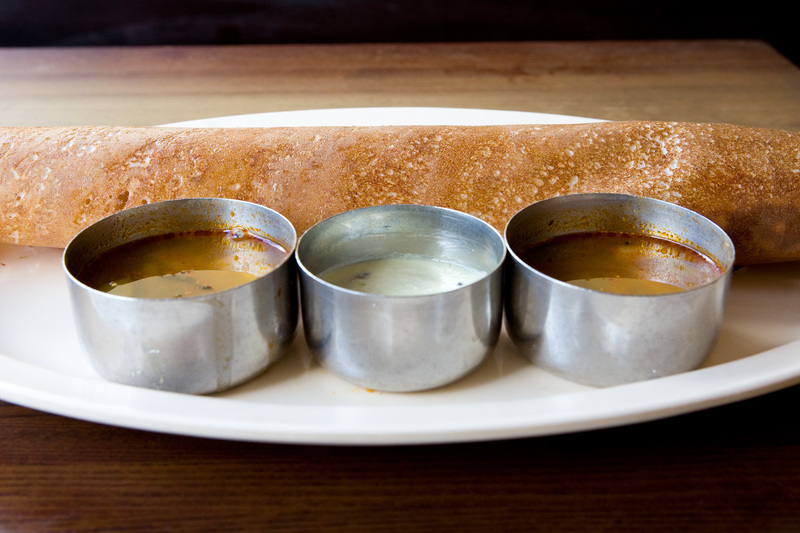 Try the crispy, two-foot long paper dosa filled with potatoes seasoned with mustard seed and cumin; order it “masala” and get a smear of tangy chutney. Then try the Swati samosa chaat, a smashed potato pocket drenched in silky yogurt, tamarind chutney and subtly spicy “salsa.” Not sold on those dishes? 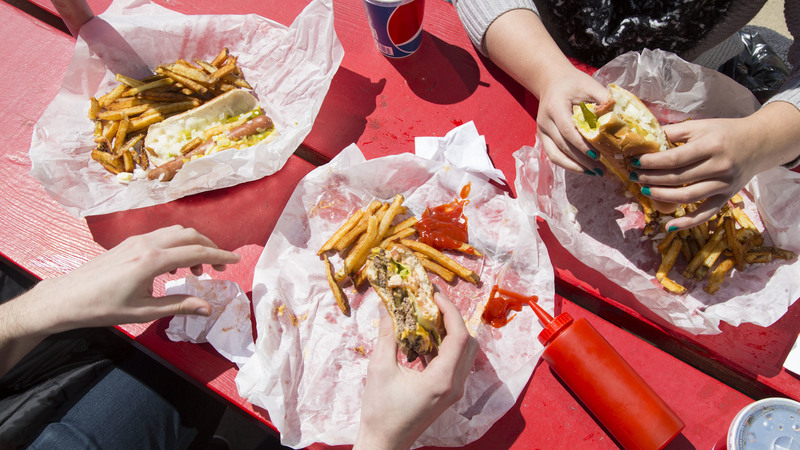 Order anything and you’re bound to get fresh, flavorful, meat-free eats for a good price. 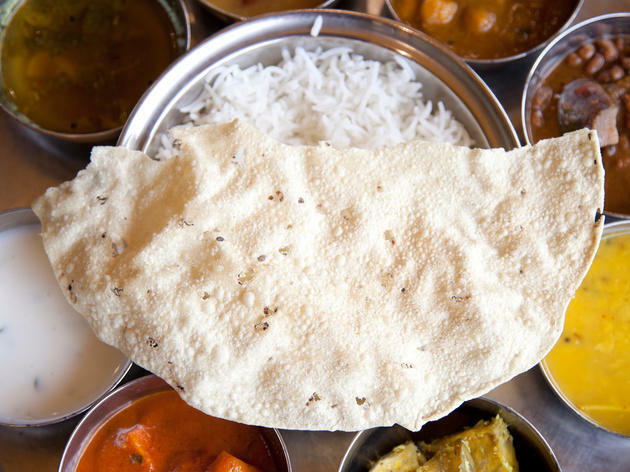 Come hungry to this South Indian vegetarian spot, where portion sizes are enormous. Start with rasam, a spicy cilantro-and-tamarind soup that’s hotter than a Bikram-yoga session (a few bites of rasa vada—lentil doughnuts with an array of chutneys—temper the heat). 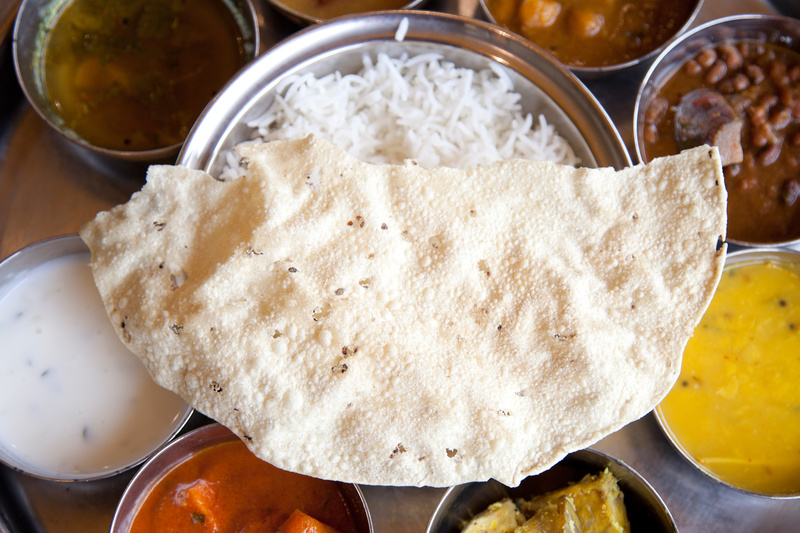 Delicious breads—including poori (think fluffy and fried) and a fantastically crispy dosa—complement the coconut chutney and various curries of the Royal Thali sampler. Carnivores seem to think that without meat on their plate they’d starve. 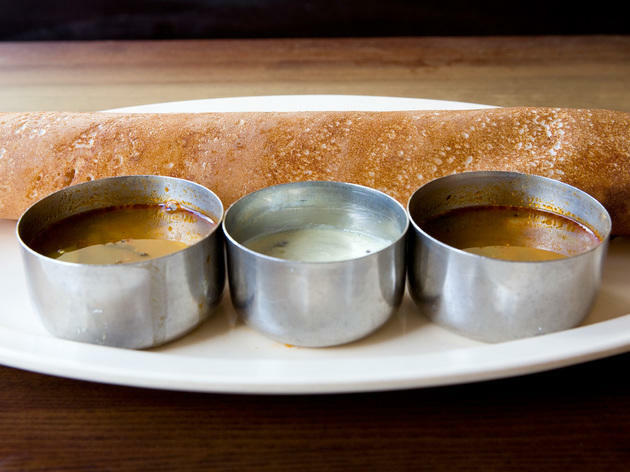 But this 100% vegetarian South Indian spot puts an end to that theory with its famous dosa—a gigantic cumin-, potato- and onion-filled rice and lentil crêpe that comes in a dozen varieties. Another good bet is the “Madras-style” okra curry that regulars swear by. 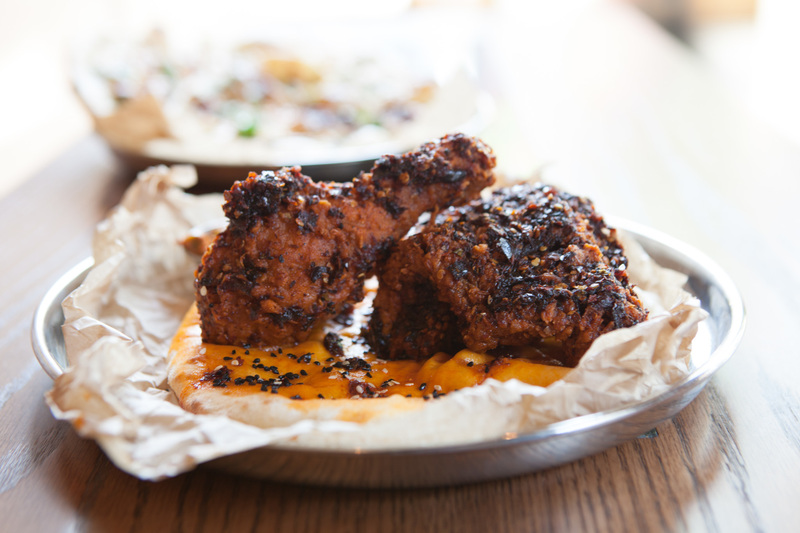 Some of the city's best Indian fare is at this Wicker Park beer bar, and it turns out that beer is the perfect pairing for fiery India hot chicken, silky butter paneer and funky salt cod samosas. Pair it all with the shandygaff, Off Color Troublesome cut with house-made limeade, or a take on a classic Pimm's Cup. 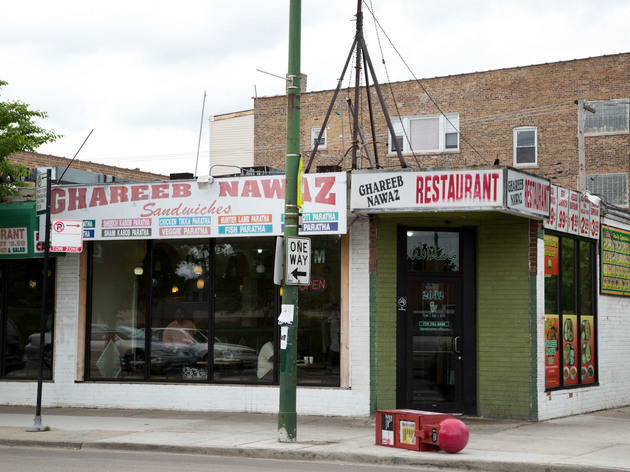 The large crowd at the counter of this bare-bones Indo-Pak spot seems chaotic, but the diners are really just waiting for their postmeal chai. 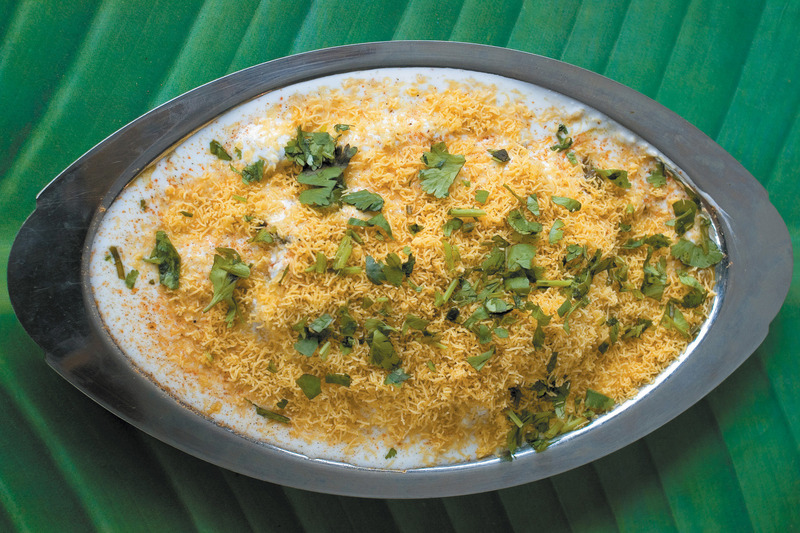 So push your way through and order a bowl of delicious dal, loaded with bay leaves and chili peppers. Ask for the chili chicken and spoon the greasy, delicious, fiery red chunks onto bread. No matter what you order, you’ll get your money’s worth; most things here cost only about four bucks. The meat-loving sibling of Udupi Palace, this spot serves up crispy vegetable pakoras, massive rounds of bubbly naan, a great bhindi masala (okra sautéed with onions and tomatoes) and a chicken tikka masala dripping in sauce that’s predictably tame (the tablecloths are a dead giveaway) but fiery upon request. Indian beer is tempting, but nothing’s going to cool your mouth like a creamy mango lassi. Chef Min Thapa showcases Nepalese cooking with dishes such as palungoko saag, where he takes whole spinach leaves, sautées them with caramelized garlic and coats them in a trinity of seeds (fenugreek, mustard and cumin). Thapa is no slouch when it comes to Indian cuisine either (the peppery biryani and lunch buffet are both solid), but ignoring the Nepalese dishes here is like going to a beer bar and ordering wine. 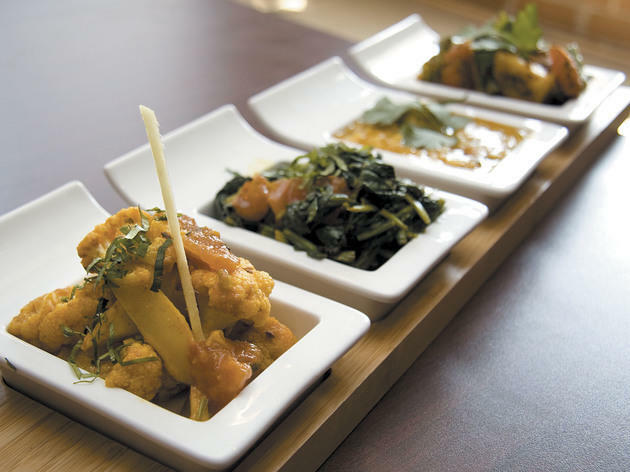 The name may be cutesy, but at Naansense, a group of experienced chefs are serving fun, delicious takes on Indian cuisine. 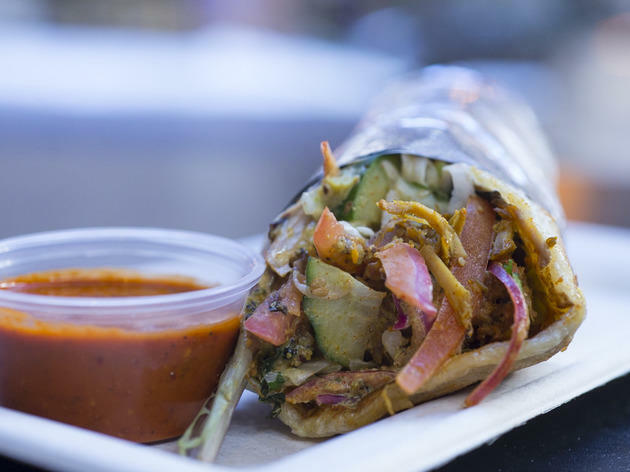 Led by chefs Hiran Patel (Veerasway, Lafayette) and Sahil Singh (Veerasway), the fast-casual lunch spot offers naan sandwiches and salads. 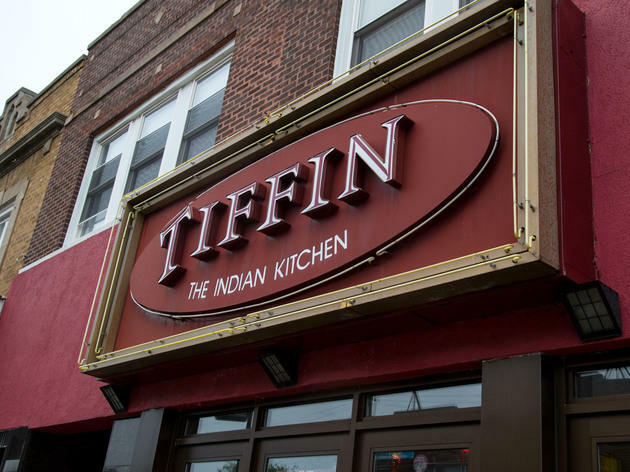 It's a different take on Indian, to be sure, but the spicy, flavorful sauces and warm, pliant naan are as great as those you'd find at any top Indian spot in town. 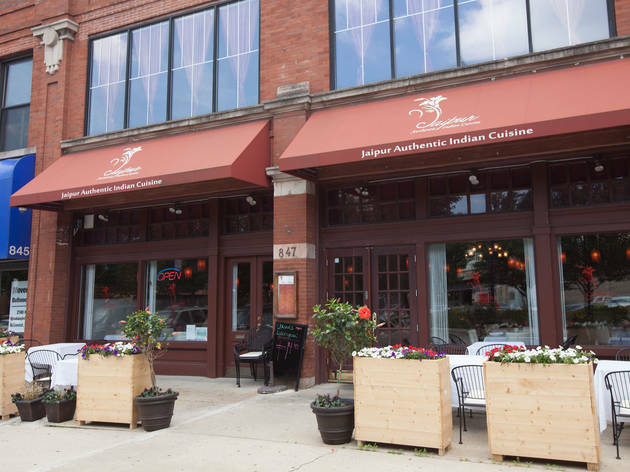 In a long line of trendy restaurants along Randolph Street, Jaipur might not seem like it totally fits in. 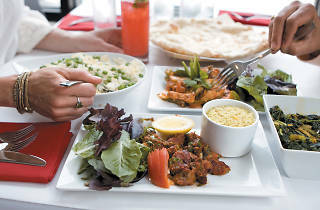 It serves traditional Indian food in a white tablecloth setting with spice-laden veggie samosas, garlicky tawa shrimp and naan. 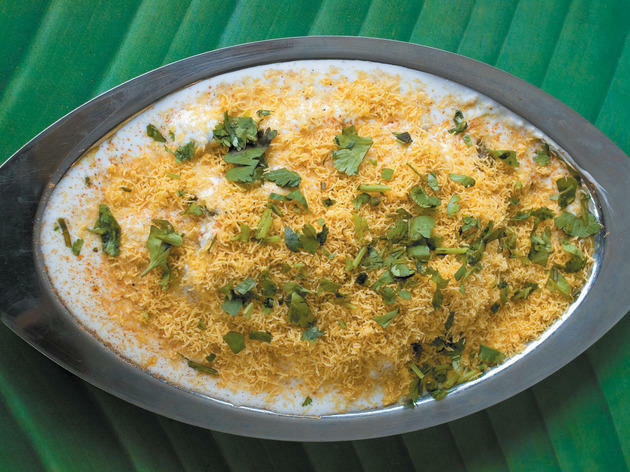 Whatever you do, grab the mango lassi, creamy and mouth-cooling after all the spice you’ll get from the main dishes. 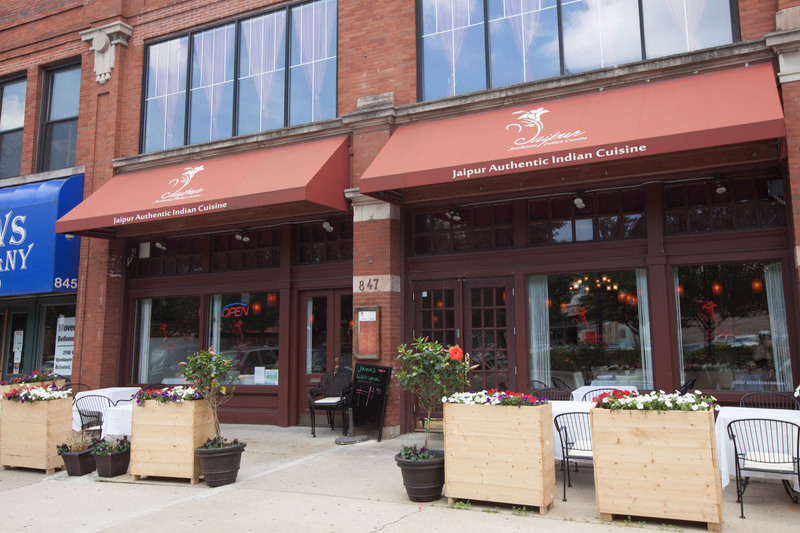 This South Loop spot focuses on Indian and Nepalese dishes, like chicken momo (bite sized dumplings packed with chicken and spices). 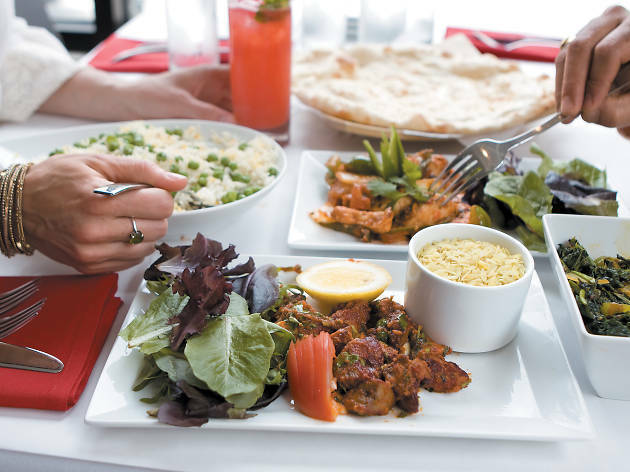 You’ll find a long list of curries, hence the name, and tandoor dishes abound. Can’t pick? Grab the lamb tikka masala with yogurt, garlic and ginger with the chef’s delicious and spicy warm sauce. 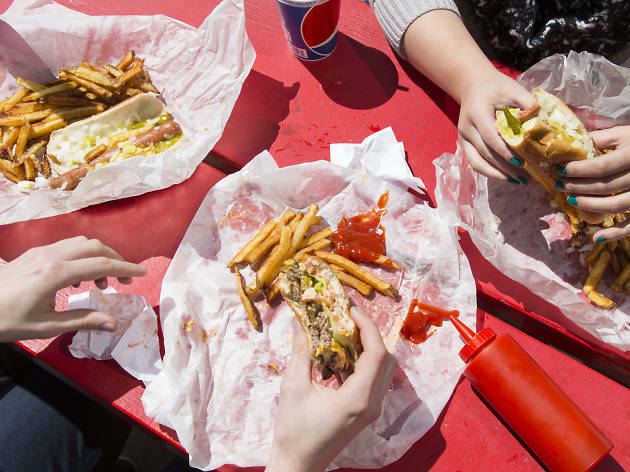 Find cheap food around the city, from a plate of affordable oysters at a seafood restaurant or fantastic tacos.